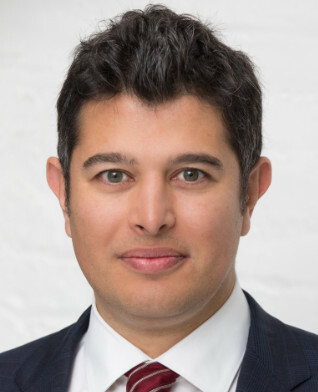 George Farah is a Partner at Handley Farah & Anderson. He develops and litigates cases against powerful interests in pursuit of justice. He has represented a broad array of clients—including workers, farmers, consumers, unions, small businesses, municipalities and whistleblowers—that have been harmed by significant corporate abuses. On their behalf, he has halted unjust practices and recovered substantial financial damages. Mr. Farah is particularly adept at investigating and developing compelling cases. He often collaborates with progressive nonprofit organizations around the world to investigate various forms of corporate misconduct and identify viable legal claims. • Antitrust: He has prosecuted multiple nationwide class actions against large corporations that have violated the antitrust laws. He has successfully represented thousands of small businesses and consumers that were overcharged due to price-fixing conspiracies or unlawful monopolies, recovering hundreds of millions of dollars in damages. • Wages: He has litigated claims on behalf workers who were unfairly deprived of wages and benefits. In particular, through both class actions and individual claims, he has represented restaurant and construction workers around the country who were denied minimum wages, overtime pay and lawful benefits. • Farmers: He has pursued claims against large processors that conspired to depress prices paid to farmers. For example, in two class actions, he represented thousands of dairy farmers that received artificially-depressed prices for raw milk due to unlawful conduct by processors. He helped recover more than $100 million for those farmers. • Health: He has pursed litigation to improve public health. He has sued pharmaceutical companies for conspiring to thwart competition from generic drugs in order to maintain artificially-inflated prices. He represented the City of Milwaukee in a public nuisance case against lead paint manufacturers for poisoning children in the city. • Whistleblowers: He has represented employees that have courageously blown the whistle on corporations that defrauded the federal government. He has specifically represented whistleblowers in cases alleging that healthcare companies and for-profit colleges made misrepresentations to collect millions of dollars in taxpayer funds. In addition, Mr. Farah has zealously engaged in pro bono litigation to safeguard our democracy and protect human rights and civil liberties. He sued President Trump for violating the Emoluments Clause of the Constitution. He represented Holocaust survivors in actions against companies who profited from Nazi-era slave labor. He obtained political asylum for applicants who were tortured in Nepal. He represented Greenpeace in an action against corporations that spied on and infiltrated the nonprofit. He provided legal counsel to an affordable housing campaign pursued by Tenants and Workers United. He represented detainees at Guantanamo Bay who were denied due process. He provided counsel to Restaurant Opportunities Centers United regarding a frivolous lawsuit intended to stymie its living wage campaigns. Prior to co-founding Handley Farah & Anderson, Mr. Farah was a partner at the law firm of Cohen Milstein Sellers & Toll, where he focused on antitrust and human rights litigation. For the last three years, Mr. Farah has been named a “Super Lawyer” by Super Lawyers magazine. Before practicing law, Mr. Farah obtained his undergraduate degree in international relations from Princeton University and earned his law degree at Harvard Law School. He was also the recipient of a Paul and Daisy Soros Fellowship. In addition to litigating, Mr. Farah has advocated for policies to strengthen democracy and address income inequality. He founded the nonprofit Open Debates to improve the presidential debate process. He serves on the board of The Modern Classrooms Project, which improves education for low-income students. He serves on the board of the American Independent Business Alliance, which supports locally-owned businesses and the communities in which they operate. He served as Treasurer and General Counsel of the Campaign for a Living Wage, which sought to raise wages for public employees. He reported on the harms of media concentration at The Center for the Study of Responsive Law. Mr. Farah is the author of the book No Debate: How the Republican and Democratic Parties Secretly Control the Presidential Debates from Seven Stories Press. His articles on legal and electoral issues have appeared in The Washington Post, The Boston Globe, The Philadelphia Inquirer, Antitrust Magazine, Extra! Magazine, The Denver Post and other publications. PBS called Mr. Farah a "remarkable author" who exposed the “secretive process by which party handlers ensure there won‘t be a real discussion of the issues” at the presidential debates. Mr. Farah has appeared on over 50 television programs and hundreds of radio programs to discuss political and legal matters, including “Nightline,” “20/20,” “NOW with Bill Moyers,” “CBS Evening News,” “NBC Nightly News,” “CNN Lou Dobbs Tonight,” “Lester Holt Live,” “FOX and Friends,” and “Countdown.” He has also given several talks about the political process and electoral reform issues at colleges and universities. • DairyAmerica Misrepresentation: Mr. Farah serves as lead counsel in Carlin v. Dairy America, Inc. (E.D. Cal. ), accusing several major dairy processors of conspiring to inflate their profits at the expense of thousands of dairy farmers by misreporting data to the federal government. Lead counsel has secured a $40 million settlement for the class of dairy farmers. • OSB Antitrust: Mr. Farah served as co-lead counsel in In re: OSB Antitrust Litigation (E.D. Pa.), alleging that manufacturers of oriented standard board conspired to reduce supply and thereby increase prices. Lead counsel secured a $120 million settlement for the class of purchasers. • Hydrogen Peroxide Antitrust: Mr. Farah served as co-lead counsel in In re Hydrogen Peroxide Antitrust Litigation (E.D. Pa.), alleged a price-fixing conspiracy by manufacturers of hydrogen peroxide. Lead counsel secured a $100 million settlement for the class of purchasers. • Northeast Dairy Antitrust: Mr. Farah served as co-lead counsel in Allen v. Dairy Farmers of America, Inc. (D. Vt.), accusing Dairy Farmers of America and Dairy Marketing Services of conspiring to artificially depress raw milk prices. Lead counsel secured a $80 million settlement for the class of dairy farmers. • Nexium Antitrust: Mr. Farah served as co-lead counsel in In re: Nexium Antitrust Litigation (D. Ma. ), a pay-for-delay lawsuit alleging that AstraZeneca PLC, the brand manufacturer of Nexium, paid rival manufacturers to substantially delay the introduction of a generic version of the drug to the market. • Publication Paper Antitrust: Mr. Farah served as co-lead counsel in In re: Publication Paper Antitrust Litigation (D. Ct.), alleging that the two largest manufacturers of publication paper had fixed prices. Plaintiffs succeeded in certifying a class and defeating summary judgment, and the case was settled on the eve of trial. • Emoluments Case Against Trump: Mr. Farah serves as counsel in CREW, et al. v. Trump (S.D.N.Y. ), which alleges that President Trump has violated the Emoluments Clause of the Constitution by accepting payments from foreign and domestic governments. • Nepali Nurse Political Asylum: Mr. Farah secured political asylum in the United States for a nurse who had been persecuted and tortured for her religious beliefs in Nepal. We are lawyers who seek to improve the world. We fight for: workers deprived of wages, consumers deceived about products, tenants denied access to housing, farmers mistreated by processors, parents deprived of adequate parental leave, investors who were defrauded, small businesses harmed by antitrust violations, persons with disabilities denied access, whistleblowers who uncover fraud, and women and communities of color subject to discrimination.